Building data visualisations is a tricky business and Coolgarif Tech use a range of tools to simplify the design process. Our wireframing tool of choice is Balsamiq, as it enables us to quickly iterate ideas and communicate them to our clients. However, Balsamiq has always been a bit weak on built-in components for mocking-up charts and dashboards. Over time we have ended up hand-building a bunch of representative charts for our client projects and these project assets enable us to get up-and-running on a new project pretty rapidly. We have now released these accumulated mock-ups to the wider-world. Once you've completed your purchase of the graphs & charts bundle you'll have downloaded a zip file with all the available charts in png format. The rest of this blog will provide a few tips and tricks on folder structure and how best to make use of these new design assets. The important thing to understand with the Balsamiq's data-format is that the folder location of the chart images is important. So if you move or delete the image after it's linked to a certain wireframe then the link will be broken and the chart won't appear. Once selected, the box will render the desired chart automatically for you and you'll end up with a data visualisation that you can send to Richie the surfer for feedback and iteration. So the example above was pretty basic and anybody used to using Balsamiq will know that stuff already. How about the scenario where you are working on a complex project with multiple dashboards for a client? This is where the Balsamiq project assets functionality comes into its own. When you start a new blank mock-up, the project assets menu item is blank and, in order to place the charts and visual tools into it, you need to follow these steps. 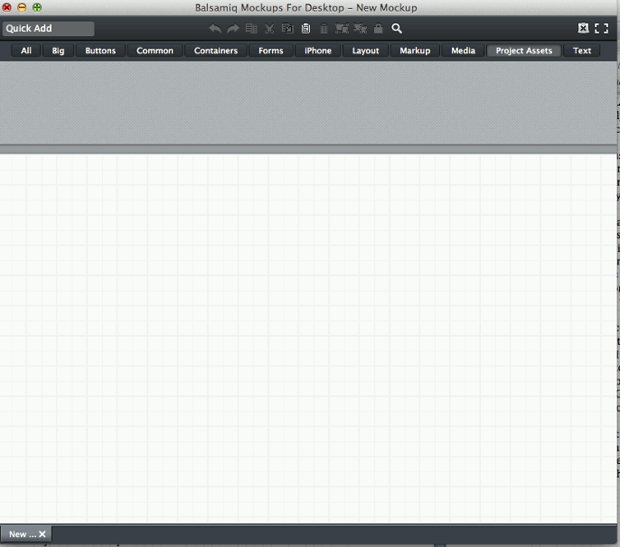 In this mock-ups folder you also need to create a new folder called assets. Into the assets folder copy the relevant charts that you'd like to have access for your project. In this case I've chosen some bar charts and scatter plots from the bundle's available assets. Once you re-save the Balsamiq file, the new assets will appear under Project Assets in the menu. Here is an example with a couple of charts in use. As noted above, if you delete the assets folder within your project or any of the individual png files then they will become unavailable to the project. I hope that this proves helpful in your data visualisation design and client engagement. If you ever need our advice or thoughts on a project or visualisation problem feel free to reach out to @AltViz_LDN on twitter. Grab the Graphs & Charts Bundle here!